Alyson Martin is an award-winning journalist, a photographer, and an editor. 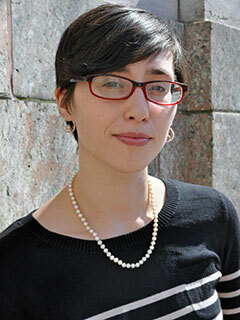 She focuses on investigative journalism, health reporting, and drug policy. Her work has been published in the New York Times, The Nation, The Atlantic, the Albany Times Union, the Ithaca Journal, and the 2011 edition of the book Our Bodies, Ourselves. Martin is a graduate of the Columbia University Graduate School of Journalism and a co-author, with Nushin Rashidian, of A New Leaf: The End of Cannabis Prohibition (The New Press). She lives in New York City.